[dropcap style=”1″ size=”2″]VM[/dropcap]Vinay Mantha: While there exist several philosophies towards data and attributes towards measurement of success, we at SapientNitro strive towards one goal as far as analytics is concerned – “Demonstrate Data Stewardship by helping our clients measure and optimize the ROI on their digital investments”. This, we achieve through a razor sharp focus on strategy and execution by providing an efficient system of governance, enablement and actionable insights through an in-depth analysis of data. VM: Our analytics solutions cut across several industries – Telecom, Banking, Retail Electronics, Apparel, Automotive, Sports, FMCG and Food – to name a few. To this extent, our clients are industry leaders in each of these verticals. Value comes in several flavors – from cost savings through an effective system of governance and operational efficiencies to outright potential monetary gains as a result of implementing the changes our analysts recommend. For one of our clients, who is a leading Telecom player, we have pioneered and executed on the concept of a “Value-Driven Analytics Framework”. In its simplest form, it is an approach where every recommendation we provide is backed by a monetary value that is to be potentially realized should the recommendation be implemented. As you would see, this bold and revolutionary approach requires a deep understanding of our client’s business along with a great deal of confidence in our capabilities in drawing meaningful conclusions from the myriad of customer data. The best part of this approach, is that once implemented and validated, it a) more than helps justify the investments in analytics and b) provides a more compelling story to enforce change even from tough stakeholders who are normally resistant to change (who does not mind extra $$$ for their business?). VM: At a high level there are two core divisions within SapientNitro that cater to our clients’ analytics needs. The first is a “Data Shared Services” team that provides modeling/ETL and Data Visualization services in the BI/DW space. The second is an “Analytics & Optimization” practice – a group of professionals who focus on web/mobile/social/competitive analysis and optimization (Search & Siteoptimization through Multi-Variate Testing). This does not include a de-centralized group of analytics implementation specialists who are embedded in project-specific teams given their expertise on platforms such as DemandWare, ATG, Adobe CQ and such. As a company policy we do not divulge specific numbers. VM: For one of our UK-based clients, as we were attempting to diagnose the cause for the high exit rate of a key page in the purchase funnel, we realized that a specific combination of a Browser and an OS was causing a page error which prompted visitors to exit the site. This was obviously not caught by the testing team before code deployment. We instantly worked with the development team to fix the problem and the resolution has resulted in a revenue uplift of £1.5M/quarter. VM: To answer this question, I am going to take the case of Web Analytics. Yes that is very much possible to be obsessed and thereby picky about the data. Confusion often stems around the question “Is my data accurate”? The trick lies in helping the stakeholders realize that this data is never meant to be “absolutely” accurate, but rather “directionally” accurate – Take my word for it, many questions often stem from this lack of understanding. That being said, the beauty of web analytics is not about honing down to an exact user who performed a particular transaction on your web site, but rather taking this directionally accurate data, segmenting it into meaningful buckets and then drawing inferences based on the behavior of segments of visitors. There is no reason to draw a hard line. It is better to try implementing the recommendations of an analyst, learn and adapt. VM: Analysis of web, mobile, social (including sentiment) and CRM data – both quantitative as well as qualitative. Big data which essentially congregates all of the above, as we all know is steadily knocking on our door. VM: #1 – Analytics is often an after-thought to the extent that many folks do not even think about it until after say a web site is deployed to production, at which point it becomes more expensive to fix issues with analytics implementation and setup, let alone draw meaningful insights. #2 – Shortage of strong analytics talent (particularly in the Indian sub-continent). VM: Happened more by chance than choice. As a part of a college hire rush, I was interviewed and subsequently accepted a job with Intel (Oregon, USA) not knowing which group I would be getting into. I happened to land into a group which was tasked with monitoring web stats for intel.com. That was my first exposure to web analytics. As I progressed there on, my focus shifted back and forth between Web/Mobile Analytics and traditional BI/DW work spanning various roles. VM: For external hires, we typically look for someone who has anywhere between 3-10 years of experience depending on the position we are seeking to fill. In terms of the interview process to hire Analysts, for example, the aspiring candidates run through 2 preliminary rounds of interview before we even see their resume – the first is a multiple choice technical questionnaire administered by our HR team (cut-off pass mark 80%) followed by an exercise where they are provided a spreadsheet with raw sales/spend/traffic data of a fictitious company and asked to provide insights and recommendations in a deck within 24 hours (they can Google or use any book in the world for this open-book test). It is after this that we see the resume along with their exercise submission and decide whether to go forward with the next round of technical domain and attribute interviews. As you can see, our bar for hiring experienced talent is very high given our brand image. We also hire internally from other teams at Sapient, where we target folks with 1 year of experience or so. We put them through a structured program of testing and selection. What follows then is training to add/elevate their knowledge on analytics. We then place them on a client assignment under the guidance of a senior mentor. VM: In this age of web 2.0, the entire industry is beginning to realize the value analytics adds in optimizing the ROI in digital. Corporations are getting increasingly eager to tap into the wealth of the data that they have collected over the years and are continuing to collect, to help make smarter decisions. With the aid of smarter technology that is gaining more sophistication by the day, it is becoming increasingly feasible to tap into massive data vaults which were previously perceived as impenetrable. VM: Big Data is the top buzz word in the analytics industry today. While I completely agree with the value proposition, here is a tip I would give to organizations that are not yet as mature and ready – First have an analytics strategy in place and very importantly “Mine your Megabytes before you Peel your Petabytes”. 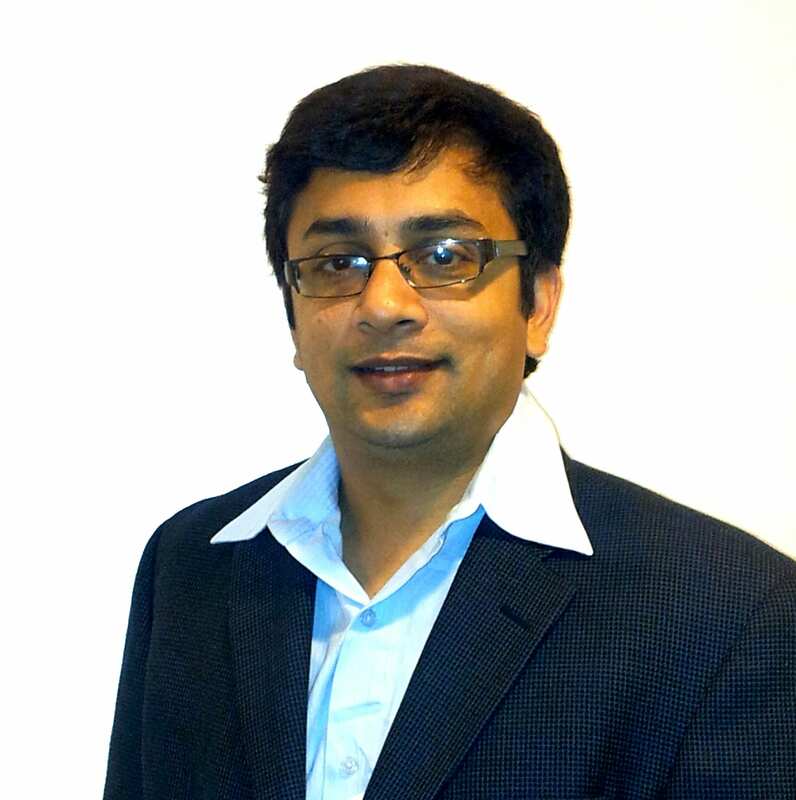 Vinay Mantha heads SapientNitro’s Data Analytics & Optimization Center of Excellence (COE) in India. In his current role he is focused on an ongoing expansion of the analytics delivery arm to serve clients from NA/EU/APAC and on building framework-based analytical capabilities for SapientNitro. Some of his noteworthy clients such include the likes of Vodafone, RIM, Marks & Spencer, Unilever and Citibank. Vinay is a certified Project Management Professional (PMP) who holds an M.S degree in Computer Science from Wright State University (OH, USA) and an Engineering Bachelor’s degree from Osmania University (Hyderabad). A data evangelist by passion, over a career spanning 15 years, Vinay has spent most of his time chartering data mazes and solving data puzzles – in this process, transforming data into information leading to actionable insights. Starting his career with Intel as a database developer, he has subsequently worked with companies such as Unisys and most recently Simplexity (a US-based startup focusing on mobile retail e-commerce) in various hands-on as well as leadership roles.